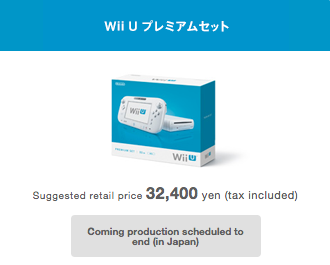 Kotaku reports that Nintendo’s official Japanese website notes that production of the Wii U system is scheduled to end soon. The company has used similar notifications on its sites to signal the discontinuation of other systems in the past. It’s unclear how many units the company has in stock currently or how long it will last. The Verge reports that rumors the system would come to an end have been swirling around for quite some time. The Wii U has been the company’s worst-selling system, moving fewer than 14 million units since its release in 2012.